TWEETS and ‘Likes’ have put North Yorkshire Police in the running for a national award in recognition of its “pioneering” digital crime fighting efforts. Figures released this week showed that the force was faced with a rural crime wave amounting to a total cost of £1million last year, but its online efforts to defeat countryside criminals has impressed judges of the Digital Entrepreneur Awards 2015. The force is one of three finalists in the running for the Social Media Campaign of the Year award. 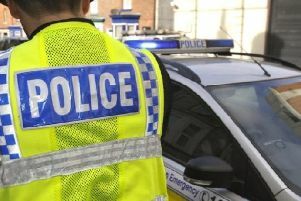 North Yorkshire Police has made the shortlist for its social media campaign which is centred around the force’s Rural Crime Hub webpage and network of Twitter and Facebook accounts. Those online channels have been used by the force to highlight different topics at different times of year. For example, in the height of lambing season in February, the focus was on sheep worrying, and in March, as tourists began visit rural parts of the region more frequently, attention switched to thefts of valuables from cars parked at beauty spots. Social media is also used to promote North Yorkshire’s volunteer Rural Watch and Borderwatch schemes, encouraging new members to join and publicising their excellent work. Chief Inspector Nick Hunter, rural crime lead at North Yorkshire Police, said: “With 6,000 miles of roads and the largest police force area in England, support from the public is vital in the fight against rural crime. The other two finalists in the Social Media Campaign category are Diabetes UK and The Ladbible. The winner will be announced on November 11.